A formal head-to-head challenge from the Dutch Marines to beat its entries in The Great River Race on September 12 has been accepted by the Royal Navy which has confirmed that at least one of its own fleet will be crewed by Royal Marines. 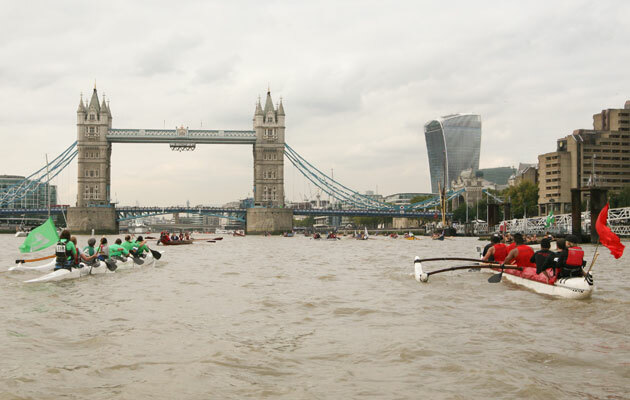 However, by the time the Dutch reach the Start on the Thames at Millwall, they will just have completed a charity row of over 220 miles across the North Sea, perhaps providing the Royal Marines with a slight advantage over the 21.6 mile course of The Great River Race. Together, they will join more than 300 boats from all over the UK and around the world competing in the Race to find the UK Traditional Boat Champions. The entry includes gigs, skiffs, cutters, currachs, jolly boats, naval whalers, Chinese dragon boats, Hawaiian war canoes, Viking longships, shallops, skerries, wherries and many, many more. 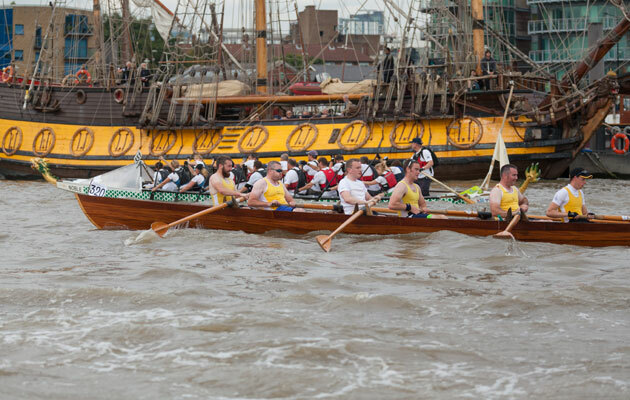 The Race starts from Millwall Slipway E14, at 1045 and the leading boat is expected to cross the Finish line, below Ham House, Richmond, TW10, at around 1340. More than 2,500 competitors will brave theGreat River Race course, from dedicated regular racers to fun rowers and paddlers, ranging from barely-teenage Scouts to national champions. 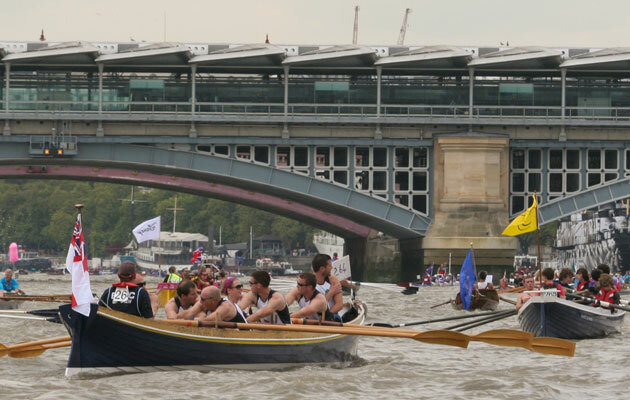 Crews are entered by groups as diverse as rowing clubs, councils, schools, livery companies, pubs, youth clubs, police, fire brigades, the Armed Services, banks and other companies. Many will be striving to win the premier prize, the Challenge Trophy of The Company of Watermen & Lightermen of the River Thames, awarded to the first boat over the line, to figure in one of the 33 other classes or simply to finish and collect a much-prized participation certificate. The Race is run on a ‘slowest away first, fastest last’ pursuit handicap basis, meaning the last boat away will have to make up over an hour to win. Most will be raising money for charity, including the Race’s official 2015 charity, Seafarers UK, and many are sure to add to the spectacle of the Race by competing in fancy dress. Activities at Ham Riverside, below Ham House, will start at 12.00 with a bar, street food from around the world, live music and a free family area featuring Punch & Judy, face painting, games galore and interactive circus tricks training.